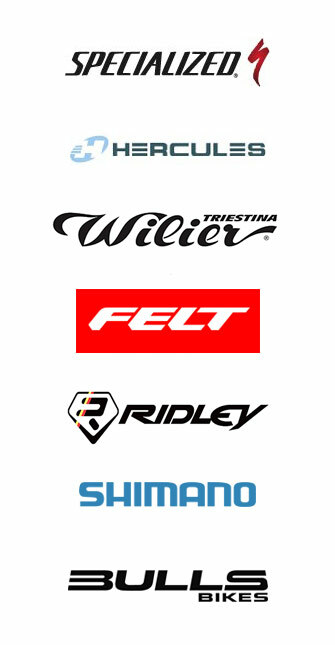 Alles war total klasse: Fahrräder (4 City-Bikes), Helme, kostenloser Bring- und Holservice, Superpreis, Belén und Paco sehr freundlich und hilfsbereit. Wir kommen sehr gern wieder, können Euch nur empfehlen, Danke! Hired a great electronic Ultegra road bike at a reasonable price. Staff were very friendly. Would definitely hire again. I was lucky to pick up a bike but they advise from April to October to ring them in advance and reserve your hire bike. Accueil très sympa et rapide, prix les meilleurs (j’ai comparé avant sur internet). J’ai même été conduit à mon hôtel après avoir rendu le vélo alors que je ne sais même pas si c’était dans le contrat. Цена, качество, сервис на высоком уровне. Good service, excellent material and not that expensive! Freundlich und unkompliziert. Gerne wieder! Very friendly staff, great service and good quality bikes complete with spare tube, tyre levers and pump. Would use again. Excellent service and very flexible approach. Good Bikes. New bikes, good service and friendly people. I’d recommend it. Thank you so much for the bikes last week, even opened up especially for me. Great service – had the sirrus carbon sport – which was brand new and a great bike..Really recommend these guys..
Amazing service and fair prices. Highly recommended. Great service. Good price. Very uncomplicated. Can only recommend Paco. Absolut kompetentes und hilfsbereites Personal. Es wird auch ein Hotel Shuttle angeboten. Die Fahrräder sind in einem Top Zustand, auch die Auswahl ist sehr groß. Können wir auf jedenfall weiter empfehlen. Vielen Dank an das Team! Nous avons loué des vélos pendant 5 jours, le matériel était fonctionnel et les loueurs très gentils et serviables. Nous avons également réservé un taxi pour le retour à l’aéroport, à un prix imbattable (65 euros à la course contre 40 par personne dans les autres agences) et très ponctuel. Very nice people, good service and great bikes. Very recommendable!! I just wanted to say thank you all for your help during our two week holiday and rental of 8 bikes to us. Particular thanks to Hussain for picking us up at St Luc. Best of luck and thanks again. Good condition bikes and excellent service. Good value for money, bikes were well maintained. Save my name and email address in this browser for the next time I comment.